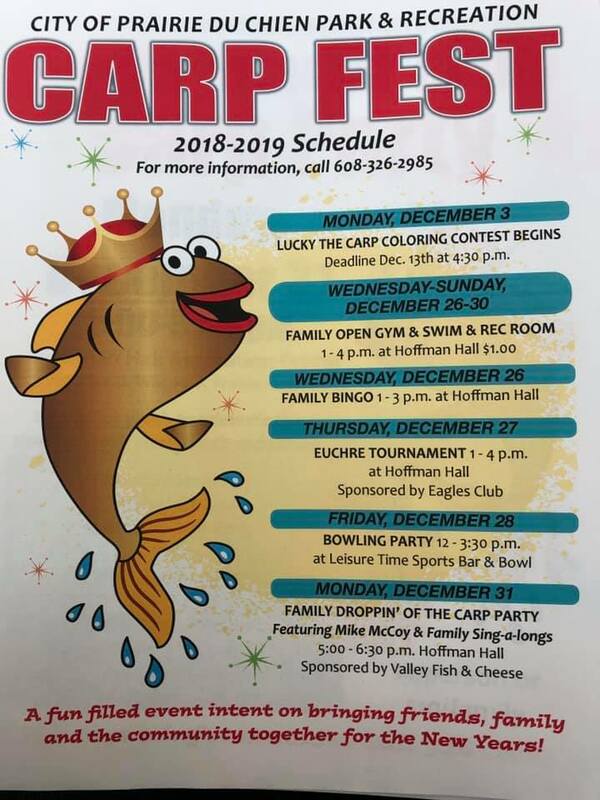 2016 ended on a great note with thousands of people participating in this year’s CarpFest and Dropping of the Carp at Crossing Rivers Assisted Living Facility ,Hoffman Hall, and Lucky Park. 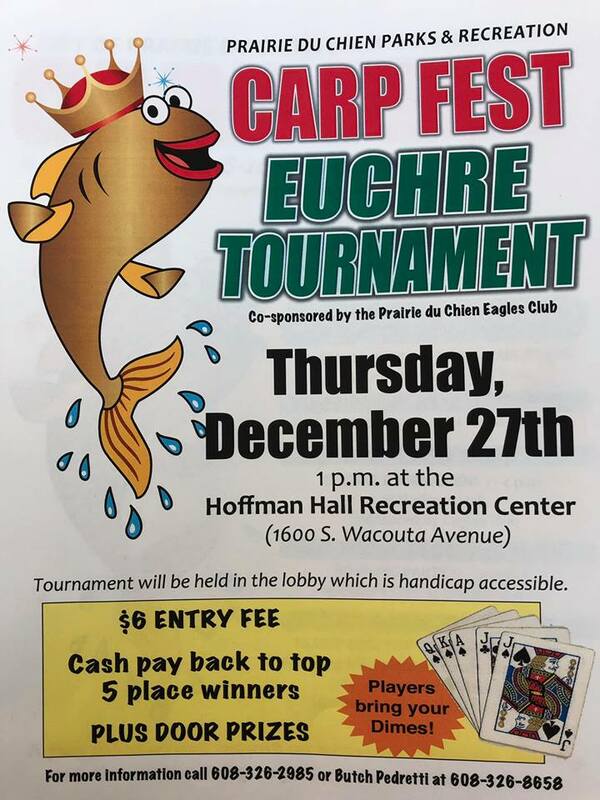 Thanks goes out to our sponsors; The PdC Tourism Council, Fuller Lumber, Valley Fish and Cheese, Leisure Time, Twisted Vision, Dan Gingerich Crane, Eagles Club, and Rich Picca/Cliffhangers Snowmobile Club. 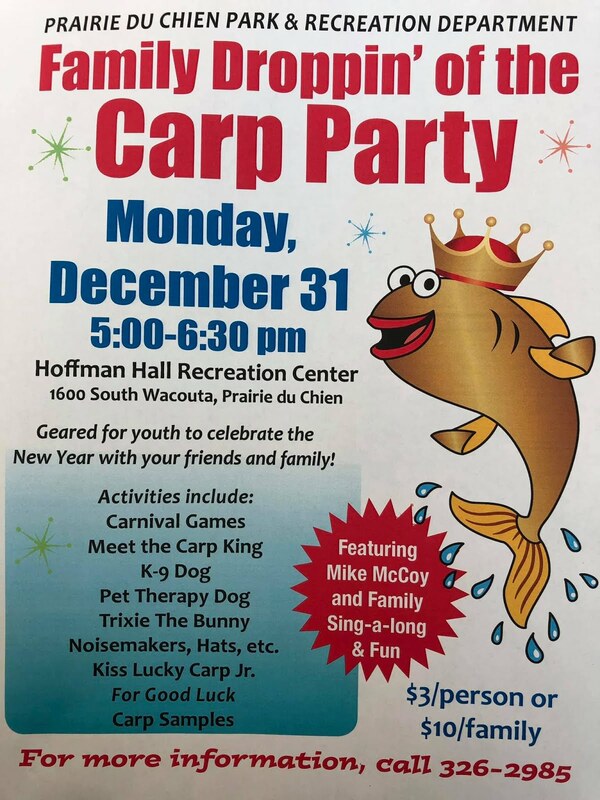 Special thanks goes out to the many people that helped make this a great event including : Carp Master Shawn Redman, Nate Gilberts, Mike Ulrich, Carp King and Queen Ken and Jan Meyers, Founders Tom & Cathy Nelson, Dept of Corrections work crew, and the many city staff and volunteers who helped put smiley faces on many people to welcome in the New Year!